Today's graph from the Ministerial Committee on Poverty report shows how many children spend x number of years on a benefit, more focus on the major reason for child poverty. 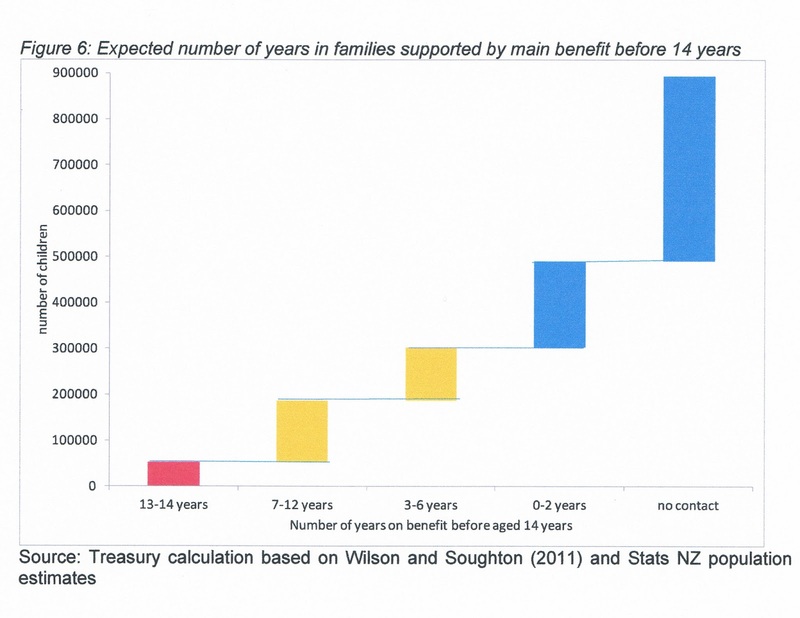 Right so two thirds of children will spend either no time at all, or less than two years in a household in receipt of a benefit. A very small proportion spend several years in a household reliant on some form of benefit for whatever reason. I call that COMMUNISM! CPAG urges you to vote for "poverty"